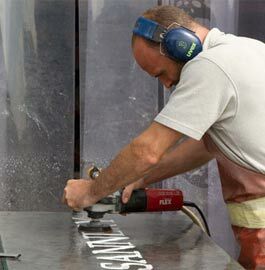 Slate door steps cut to size and personalised just the way you want. Slate Doorstep - Personalised just the way you want it! 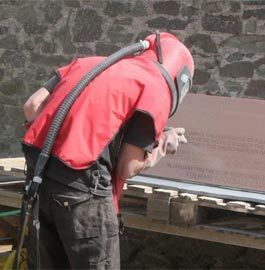 Choose the slate thickness required. We also have 50mm thick slate which can be quoted for, although 30mm should suit most steps. 20mm is suitable if using to cover an existing slab or step. Very heavy doorsteps - over 30kg are sent on a pallet lorry - the rest are sent by courier. Parcels over 1200mm x 900mm x 900mm need a double pallet. As this is expensive, it may be worthwhile collecting your slate doorstep. We can add a line border with indented or square corners. Another option is one of our decorative borders. Costs shown below. Made in the UK. 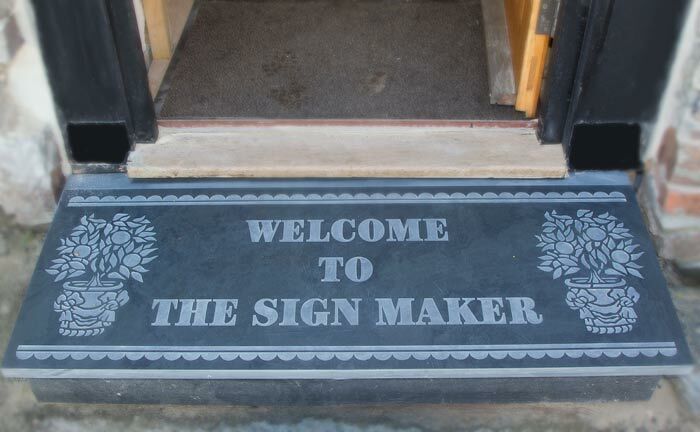 Our team at The Sign Maker looks forward to helping you with your personalised slate doorstep.